Parents and carers everywhere know how hard it is to sort through the hundreds of kids party ideas out there and find the one that will give your children and their friends a day they’ll never forget. But if you’re looking for a creative party that will have your kids and their friends talking about it for ages before and afterwards, we reckon hosting a movie party is hard to beat. Don’t just take out word for it – see what parents say. If your children are into drama, acting, singing, dancing or just plain showing off, then a movie party might be just the idea you’re looking for. 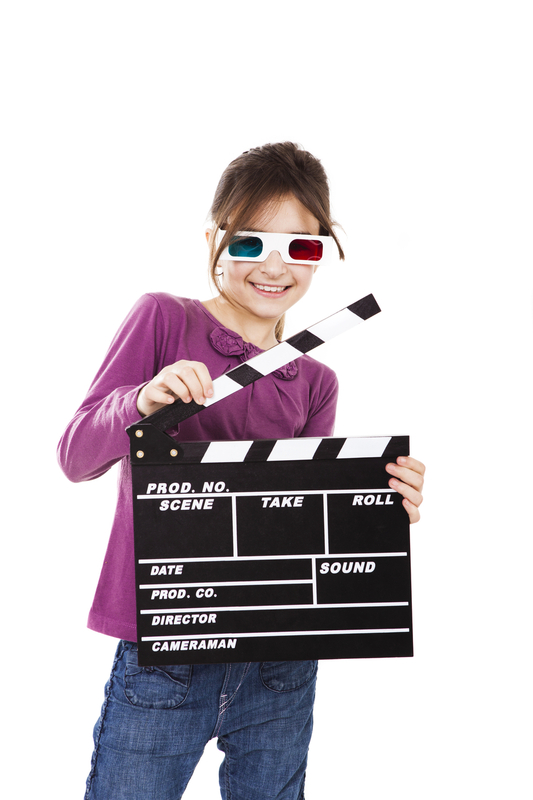 We have a range of fun movie scripts for kids covering all sorts of interests. If you’re a singer, Rock Star – The Final! might be just the film for you. If you’re a budding James or Jane Bond, try The Deadly Virus. We also have films for fans of spooky slumber parties, swords and sorcery, aliens and lots more. See our full list of kids movie scripts. Hosting a movie party is easy. Just choose and download the movie you’d like to make, send the script to your party guests, then get ready for the main event. On party day, film your movie in short chunks – no needs to learn lines unless the kids want to – then watch the story unfold on your TV or computer. It’s guaranteed fun. If you’re still not convinced, never mind, at least we tried! Take a look at this list of other cool party ideas instead.